Perfectly accent your bedside with this two drawer nightstand. 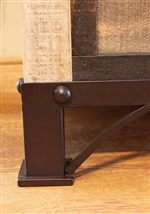 Rustic and casual in style this piece has been hand distressed and wire brushed for an antiqued appearance. 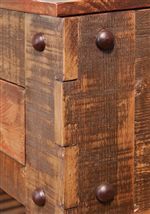 Solid pine is crafted with mortise and tenon construction for strength and durability. 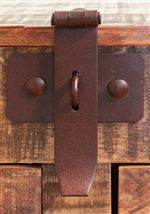 Hand spun wooden knobs adorn each drawer and coordinate with the rich tone of the hand forged iron trim and base. 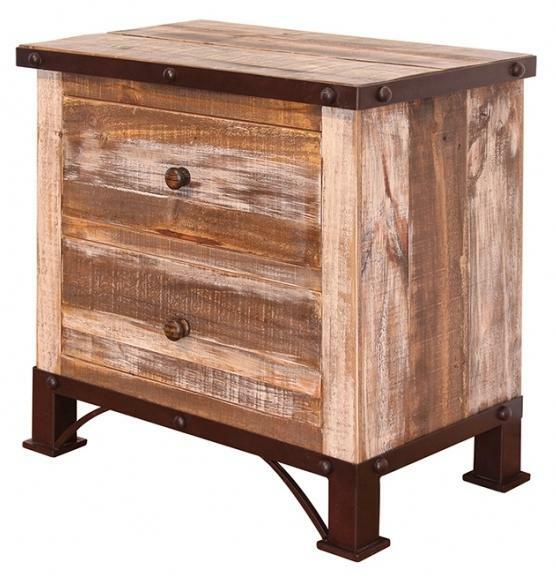 The 900 Antique Rustic 2 Drawer Night Stand by International Furniture Direct at Miskelly Furniture in the Jackson, Pearl, Madison, Ridgeland, Flowood Mississippi area. Product availability may vary. Contact us for the most current availability on this product.